Yayyy, you’re pregnant! Time to relax for 9 months before the baby arrives and you get thrown into a world of chaos, right? Not quite. With baby now on the way, it’s time to get moving and make sure everything is in place for when your little bundle of joy makes his/her appearance. Cue endless checklists of things you need to get sorted… Bibs. Bottles. A bassinet. Cotton buds. A cot. A car seat. Nappies. Nappy bags. A pram. A few clicks later and you find yourself a quivering mess, overwhelmed by the stress of choosing a pram. But, never fear, we are here to save the day… here’s a list of our top 5 prams to suit every new parent! 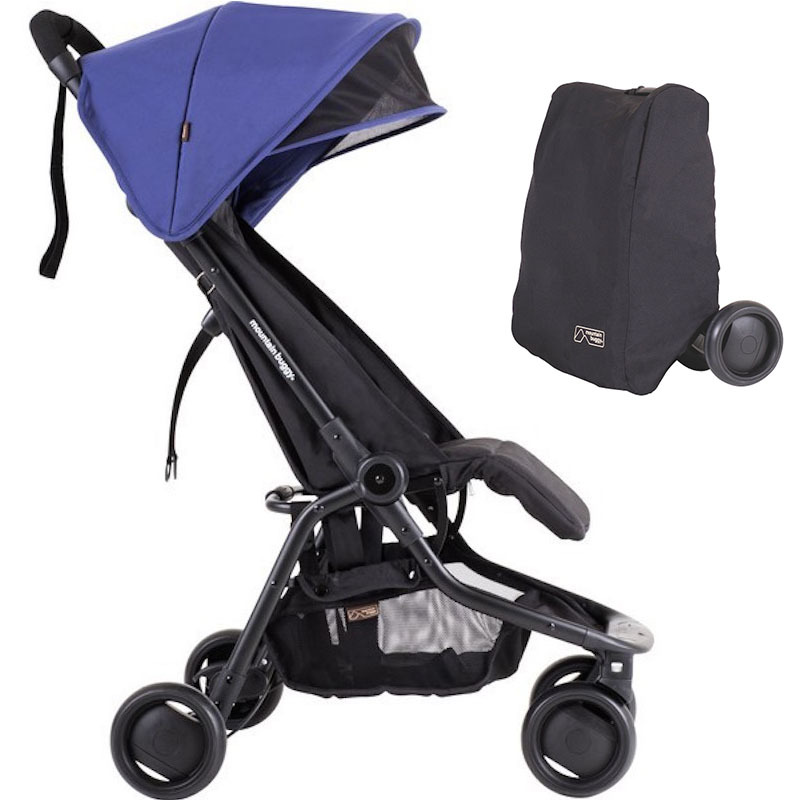 If you live in the city, you’ll need a pram thats functional, agile and compact for whizzing through those busy streets. The Cameleon’s small front wheels, that glide along effortlessly, make this pram super maneuverabile and perfect for the city environment. The easy-clip carry cot makes switching between forward-facing and parent-facing seating a breeze, and the light aluminium frame means carrying the pram is just that little bit easier! We also love that the Bugaboo’s sleek and simple design fits in perfectly with the stylish surroundings of a city. With prices starting around $945, this pram is a bargain considering it will last your child from birth to 36 months! Save the planet one stroll at a time with the Greentom Upp! Completely made from recycled plastic, the Greentom Upp is the go-to pram for any green-warrior. The pram is assembled and resourced all over the world, which limits shipping costs, and stimulates local economies. It grows with your child, switching easily from carrycot, to pram to stroller; and when little one no longer needs it altogether, Greentom accept used prams back into their programme for recycling and repurposing! Prices start at $355, meaning this pram saves your purse as well as the planet. If you’ve already got a little one, and another on the way, the prospect of taking out two children at once can be a little daunting; that’s where the Donkey Duo comes in. Thanks to its interchangeable seats and bassinets, the Donkey Duo has 17 different configurations, meaning it can adapt to all of your needs from duo-pram to mono-pram, front facing or rear facing. Just 5.4 inches wider than a normal pram, this stroller wont compromise your ability to get around, and its air pumped large-wheeled tyres make everything a breeze! Both the seat and the carry cot are removable, meaning you get multi-use from the Donkey Duo when its not being used as a stroller. Folding small enough to fit into the overhead locker of a plane, and weighing in at just 13lbs, we cant get over how super travel-friendly this buggy is! Handy for when you’re on the go, the Mountain Buggy Nano has inbuilt rear wheel suspension, absorbing bumps on the road to keep baby comfortable while you’re out and about. When you arrive at your destination, simply flick the buggy open with just one hand to easily get you off on your travels. Going the distance both metaphorically and literally, the Nano’s full size seat means this buggy will last through the years, up until little one reaches four years old. Costing just $249 (omg so cheap! ), this buggy will leave enough money in the bank for your next travel adventure. The Redsbaby Bounce is a jack-of-all-trades. Use it as a bassinet, lie flat pram, or a stroller. Take a trip around the city with its super maneuverable wheels, or go all terrain thanks to its four wheel suspension and puncture proof wheels. Its reversible seat allows baby to explore the world front-facing, or parent-baby bonding facing you. Keep your little one comfortable all day long with four reclining seat options, and a large retractable sun canopy to let in all or none of the Aussie sunlight. Prices for Bounce start at $599, making it more than great value for money! 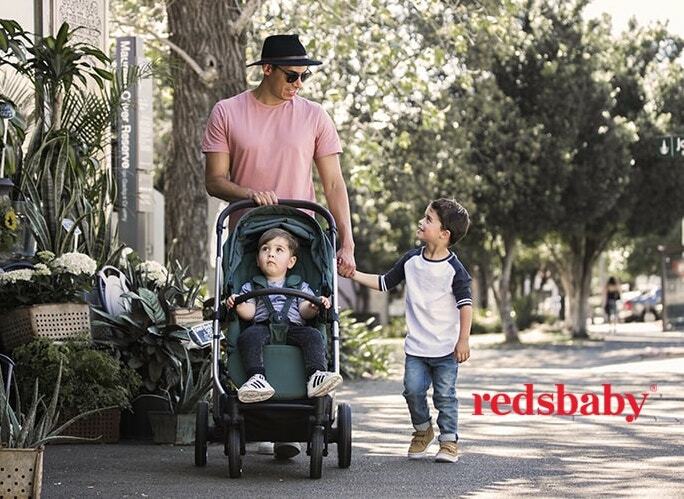 Head to our One Fine Baby fair in Melbourne this weekend to see Redsbaby and walk away with your dream pram! Tickets are on sale now so make sure to get yours before it’s too late!